This is On the Rise. In this episode, we talk about how changing patterns of behavior can change the result. We talk about today's publication submission by Daniel Whalen called, "If You Want To Change Your Life, Think How You Don’t Think." In the episode, we talk Molly's post on how to find yourself. We talk when it's good to avoid herd behavior and why alone time is the key to finding out your true identity. In this episode, we talk about a collab post with the editors of Struggling Forward. This chat includes ways to get motivated and how to get out of a slump. In this episode, we talk about dreaming big and some writers journeys to leave their 9-5 behind. In this episode, we talk about times where we need to change our direction and how we did it. In this episode, we talk about Molly's post that created a bit of controversy. We talk handling negativity on the internet and how openmindedness can help us to respect on another's beliefs. In this episode, we pick a niche for our podcast by going through our combined lists of passions. In this episode, we talk about the different ways your work can impact someone else. Molly shares the top people that have added value to his life and we discuss how we can improve the podcast. In this episode, we talk about how to get more yeses and overcoming to your fear of asking. We also talk about the effects of being negative to others around you. In this episode, we talk our most vulnerable posts and what it felt like to write them. We also talk about how it takes courage to let go of the past and move on to a better future. Episode 055 When Does Blogging Turn Into a Business? In this episode, we talk about blogging, the different reasons why we started writing and what we think about the possibility of turning our blogging into a business. In this episode, we talk Pen names and discuss one writer's big reveal. Click play to see who it is! In this episode, we talk public speaking, including Molly's goal to speak in front of 100 people. We also discuss overcoming nerves and other public speaking techniques. In this episode, we talk about when it's a good idea to listen to other's opinions and when to ignore them. We share a couple of our past experiences and the results. In this episode, we talk about how to brighten someone else's day. The inspiration for this episode came from a post called, "Make Someone's Day in 30 Seconds" by Jonathan Najarian. Today we celebrate 50 episodes of the On the Rise Show. We talk our favorite episodes, insights and plans for the future. In this episode, we talk about how to find balance when you're a chronic starter. We also talk about failure and our thoughts on quitting. In this episode, we talk about what it means to be different than our peers. We discuss traveling, homeschooling, meditation and more. This podcast highlights two posts that are a part of a collaboration between the publications "On the Rise" and "Struggling Forward" on Medium. In this episode, we talk about the writing challenge, the future of Medium and monetization. In this episode, we talk about saving, investing and how taking charge of your finances can get you out of the paycheck to paycheck cycle. Disclaimer: This is not financial advice. Please consult with your financial professional to determine what may be best for your individual needs. In this episode, we talk about two posts from the publication. Today's topics included how to up your productivity and also managing the fear of the unknown. In the episode, we talk about Tim Ferris' book, "Tools of Titans". In this episode, we talk today's top posts by Christine Bradstreet and Jordan Gross. In this exclusive episode, On the Rise interviews best-selling author Jordan Gross. Jordan is a 23-year-old entrepreneur who has graduated from Northwestern University with a B.A. in Economics and M.S in Management. Today we talk Jordan's killer morning routine from his book, "Getting COMFY: Your Morning Guide to Daily Happiness"! In this episode, we talk about "celebrating small wins". We highlight today's top posts including a collaboration with another publication, "Struggling Forward". In this episode, we talk strategies for starting new business and ideas for generating income. In this episode, we talk about today's top 5 stories. In this episode, we talk about Happiness. As teens and young adults, many of us don't realize life can happen for us, instead of to us. We give some practical tips and advice on how you can take control of your life and create the happiness you desire. In this episode we talk today's top posts by Jordan Gross, Jesse Kerema, and Michael Shook. We talk about how to push the limits when you already have it all, how adversity can be used to make you stronger and how everyone is creative. Episode 036 What Does Success Mean to You? In this episode, we talk about what success means to us. Molly shares one of the top successful people who he admires and we talk about how sometimes adversity makes you stronger. In this episode, we talk about C.M. Barrett's post "I Am Not What I Do". We talk about labels and how powerful they can be. In this episode, we talk our passions. Finding your passion is not as hard as it seems. Click listen to hear some awesome tips on how to start the journey of your dreams! In this episode, we brainstorm ways to improve our writing and talk the possibilities of becoming a writing coach. In today's episode, we talk Danny Forest's post, "Two Simple Methods To At Least 3x Your Luck". We talk our favorite failures and how they made us stronger. In this episode, Molly hosts and we talk about my trip to Costa Rica last year as well as future travel plans. In this episode, we feature a post by Danny Forest called, "One Good Choice You Don't Realize You Make Every Day." We talk what motivates us to make it through the daily writing challenge and the importance of making a decision to finish what you start. In this episode, we talk about Christine Bradstreet's post, "It's Time to Do Some Weeding in Your Mind." We talk how beliefs are formed and why it's important to examine our beliefs. In this episode, we talk fan engagement and why we love connecting with our followers. We also talk about how to deal with negativity and Molly gives the deets of his first post read by 1K followers. Episode 027 Yell as Loud as You Can! 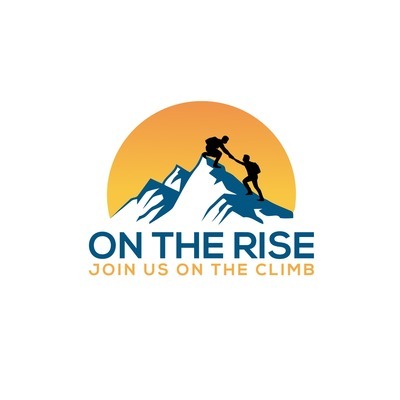 In this episode, we feature a post from Hank M. Greene called, "What 'On the Rise' Means to Me". We talk about Hank's plan to share monthly updates and the exciting possibilities of growing as a publication and podcast. Episode title from Jess Kerema's post, "The Self-Confidence Formula For Building A Personal Brand." In this episode, we share our favorite affirmations and talk about how affirmations can impact us and everyone around us! In this episode, we talk about communication when it comes to relationships and friends. The featured post is, "The Subtle Art of Shutting the F**k up" by Daniel Whalen. In this episode Molly hosts! We talk overcoming depression and being in control of your life. Please note this is not medical advice and is just our personal experiences, please consult your medical professional if you need help. This is a quick episode on focus. We talk about Aman Litt's post, "When was the Last Time You Lost Track of Time." In this episode, we talk about letting go of the past. The feature post is by Lane Carrigan and it's called, "Attachments are Holding You Back and Holding You Down." In this episode, we have a brainstorming session to come up with some marketing strategies for our podcast. We talk about our current marketing techniques and where we plan to go from here. The very first episode of On the Rise! Episode 012 Too late to start something new?